Dog owners have a legal obligation to restrain and control their dogs to prevent Dog Attacks and Dog Bites. If they don’t and injuries result, they are legally liable. 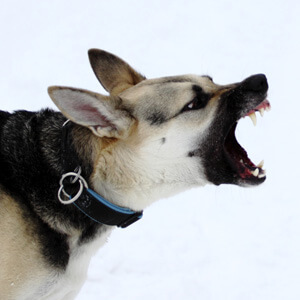 Pennsylvania’s Dog Law and Common Law Negligence rules provide that victims of dog attacks and dog bite injuries can pursue legal claims against the dog owners for compensation for medical bills, lost wages, pain and suffering and scarring and disfigurement. Tim Rayne is a Dog Bite Attorney who helps victims of dog bites to understand their legal rights and receive fair treatment after a dog attack causes serious injuries. Victims of Dog Bites have many questions: Should I call the police? Who will pay my medical bills? What happens if I can’t work? Am I going to have permanent scarring that will impact my life? Is the dog owner legally responsible for my injuries? Should I talk to the insurance adjuster? Do I need to hire an attorney? How much compensation am I entitled to for my Pennsylvania Dog Bite? If you’ve been injured by a Dog Bite, you may be entitled to money compensation for your injuries and financial harm. You may not need to hire an attorney, but you should get advice from an Experienced Pennsylvania Dog Bite Attorney. Tim Rayne focuses his entire law practice in Personal Injury Law and has been helping people who have been injured in Dog Bite accidents receive fair treatment and compensation from insurance companies for over 20 years. Tim offers free consultations for Pennsylvania Dog Bite accidents at his offices in Kennett Square or West Chester, Pennsylvania or will travel to your home or any other convenient location. If Tim accepts your case, he works on a Contingent Fee basis, meaning that there are no attorney fees unless he recovers compensation for you. We represent clients in Chester County, Delaware County, Montgomery County, Bucks County, Berks County, Lancaster County, and Philadelphia County, Pennsylvania, and regularly assist people in West Chester, Kennett Square, Southern Chester County, Unionville, Avondale, Toughkenamon, West Grove, Jennersville, Landenberg, and Oxford Pennsylvania.